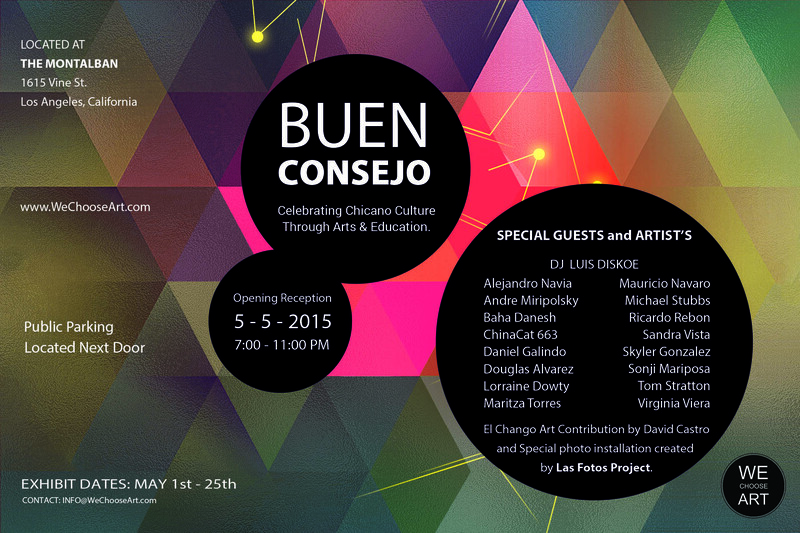 We Choose Art and The Montalban are pleased to announce “BUEN CONSEJO: A Cinco de Mayo Art Celebration” opening Tuesday, May 5th from 7-11pm at The Montalbán in Hollywood, California. Following We Choose Art’s philosophy of creating a collaborative community of artistic expression, this unique exhibition continues to document the vibrant and creative cultures of the Chicano heritage through arts and education. 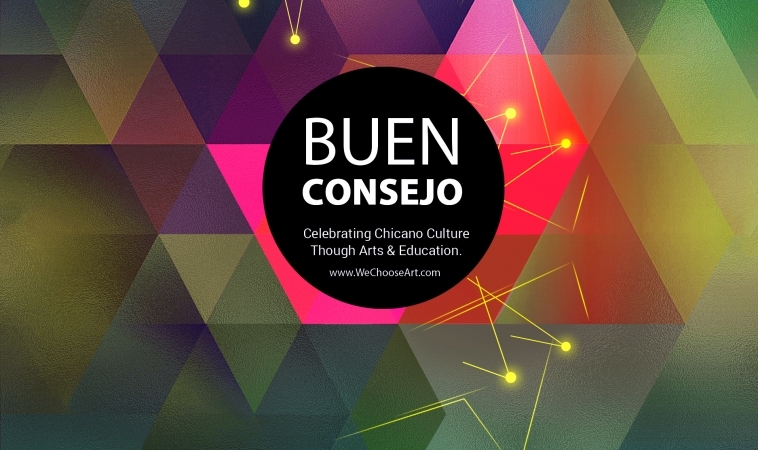 Curator Baha Danesh created this three-week pop-up exhibition to celebrate the rich customs and traditions found in the Chicano/Latino culture. She chose both Chicano and non-Chicano artists whose work continue to cover a broad spectrum of topics from traditional art to contemporary interpretations created by sixteen different artists. 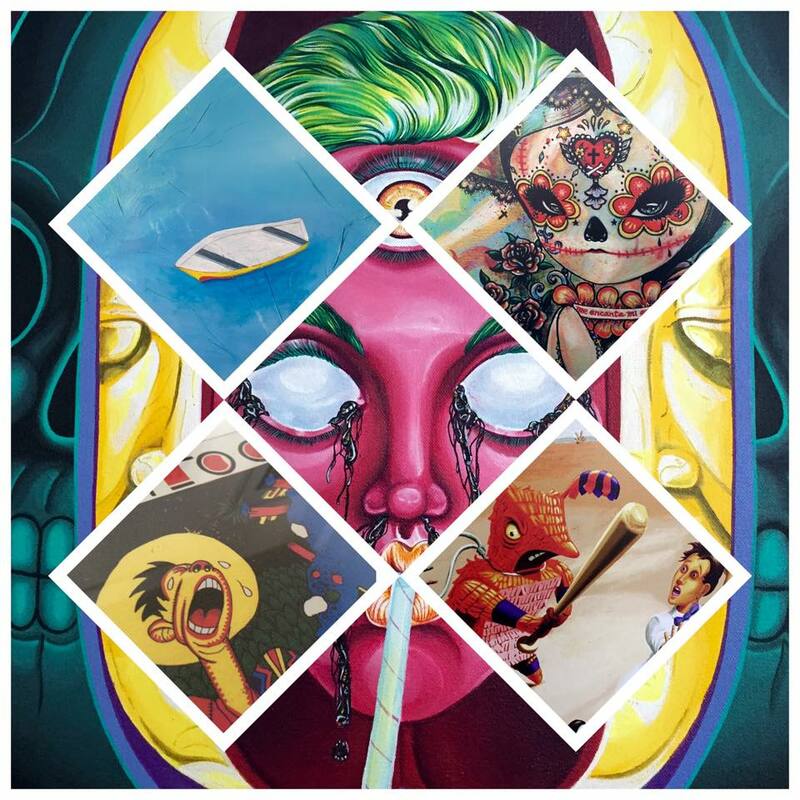 The featured artists are showing works that deal with concepts of race, class, culture, politics, social commentary, and modern representations of what it means to be Latino in Los Angeles. Participating guests and artists include: Alejandro Navia, Andre Miripolsky, Baha Danesh, ChinaCat 663, Daniel Galindo, Douglas Alvarez, Lorraine Dowty, Maritza Torres, Mauricio Navaro, Michael Stubbs, Ricardo Rebon, Sandra Vista, Skyler Gonzalez, Sonji Mariposa, Tom Stratton, and Virginia Viera. El chango art contributed by David Castro and Special photo installation created by Las Fotos Project. 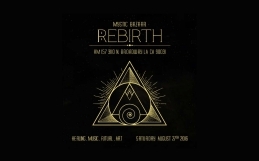 Opening night will include live music by CATARSIS and tunes by DJ Luis Diskoe. 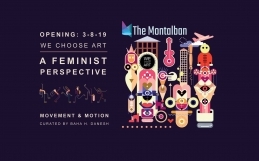 The historic Montalbán Theatre provides a special window into the entire entertainment business and the performing arts in Los Angeles. The Montalbán boasts a popular reputation for hip events and is known as one of Los Angeles’ most excellent sightlines and acoustics. The Theatre and the Foundation are partnered with community performing arts groups such as the Harmony Project, the Lula Washington Dance Company, the Tierra Blanca Arts Center and the UDLA. Built in 1916 as a silent movie studio, it has hosted hundreds of theatrical performances, feature films, and recently Fine Art productions.